Quay and Elliott will join Band champs the Mercury Brothers representing the Central Iowa, Mississippi Valley, South Skunk, Southeast Iowa and Lizard Creek Blues Societies at the 2015 International Blues Challenge in Memphis TN in January. FINALS – Saturday, May 17, 2014. 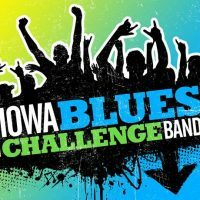 Congratulations to advancing bands from the Des Moines preliminary round Hot Tamale & the Red Hots and Jefferson County Green Band. August 4, 2013 at Zimms on Ingersoll in Des Moines. The winner receives $250 cash plus $300 in travel expense to Memphis to compete in the International Blues Challenge! Solo/Duo entrants include; Chad Elliot w/Bonita Crow, Curry & Red, Frank Strong, and JeffCo.